Thanks guys, I like the white lights a lot. I blocked the red backlights below the centre console. I like the red of the ring of the cigarette lighter socket, to be honest. But white would be better. The lights in the boot lid is not OEM as in, factory option. The light is simply the same as in the rear roof liner and the red lights are from AliExpress. The electrical scheme is the same as for the boot lights. It's been a good three weeks since any news... since there isn't really any. I'm travelling quite a lot, in the car, but not a lot of time for retrofits, mods and repairs. The car had its periodical MFK (Motor Fahrzeug Kontrolle, Swiss MOT) yesterday and it passed with flying colours. I don't have a lot of long or short-term plans with the cars, other than enjoying it. The heated windshield is starting to pay off in this time of year now, I used it a few times and it's great. A few weeks ago, the 16" Mallory winter wheels have already been fitted and the reduces tire noise is great. Something similar happens to me and my 6R, just enjoying it (nothing else). My 6R also passed the MOT, MFK, ITV in spain successfully... once I finished the deep overhaul (Sept). Thanks Fernando. I hope you're enjoying your car as well. ciclo, may I ask for your help? The situation is that the high beam are not working very well on my car. Now that the days are becoming shorter, I use the HBA quite often but the high beams just don't work or stop working. The BCM should be compatible (russian 090C BCM with eeprom flashed with the help of firegrafik). When the high beams stop working, they will not come on by high beam flash or by permanent high beam. The BCM doesn't output 12V anymore to SB34 and SB36 anymore. I'm suspecting maybe faulty coding. The blue high beam light in the instrument cluster still comes on though. Address 3C: Lane Change        Labels: Redir Fail! ;SW:7E0-937-090-C   HW:7E0-937-090-C ---  Cent. Elect. If you have any suggestions to try out, please let me know. Thanks. I don't remember exactly the right Byte, but I think your HBA coding isn't correct. Look at the experimental label. 0404001C................ it's perfect for ours 6R (many test with my Bixenon and--0202001C/07/etc...-- 0404001C works better).... so, look in the following bytes. Thanks, I'll try the new coding and let you know the results as soon as it's dark again! What does this function do in your 6R?. What's its purpose?, do you remember if it was enabled to 1 after some coding? It's a bit weird that you have the blue icon on the IC -56a signal- and no power output for your LED headlights -56a signal- (intermittent) when the lights system (with HBA) is working . - Some connection may be failing. I remember seeing many couplings in your electrical installation. - The codings seem to be correct. - BCM eeprom Do you have another BCM to test the HBA system? about the EEPROM and the adaptation channel 55, these were set in collaboration with firegrafik. The 090C BCM is coming from russia and I set the same parameters as in his BCM. I remember having the same problem with my old 7E0 937 090 Z4Y BCM but it didn't bother (or interest) me back then, since i was barely driving in the dark. Channel 55 has no direct function as I can tell, I set it to 0 for now and I have not experienced any loss of function. I will drive in the dark with HBA and without HBA and high beams to see if it makes a difference. I think they are set correct for left hand drive. However, these two bytes are not factory-coded for this HBA-mirror-model in the long-code, because it is already set in the adaptation channels. If you look at the HBA adaptation channels you will see that the default value is already set to 'Right hand driving'. In short, not codify this two bytes in the Long Code, set both to 00 HEX. I have the adaptation channels (untouched) from a BCM 7E0 installed in a New T6 (2016) with halogen headlights, it is the only one I have seen so far with channel 55 set to 1. 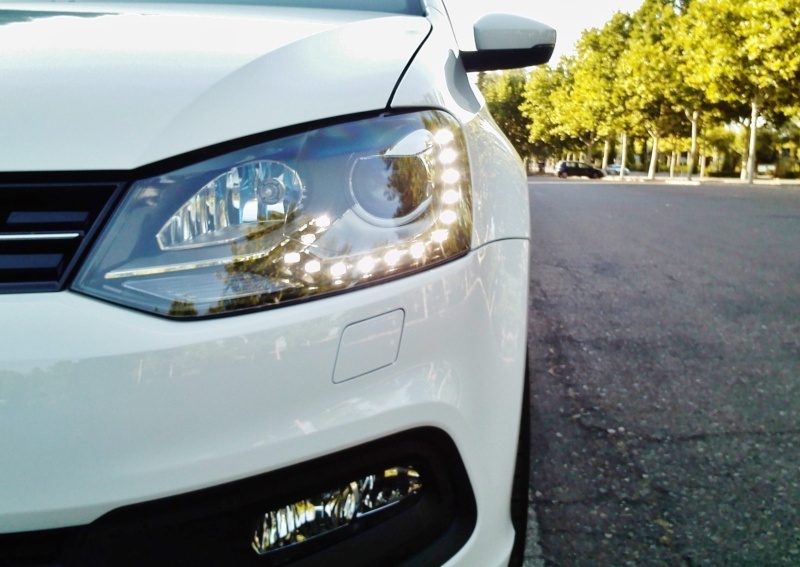 In the adaptation channels from T6 with LED headlights is set to 0. WOW iichel I've just seen your work on buttoms lights! Result is awesome! You have a lot of patience! I have changed the adaptation channel in the high beam mirror to left hand drive. I have also changed the byte 18 to 73. However, this did not bring a solution to the issues I'm experiencing, so far. I currently don't know what to do. The issues still appear with HBA on and off. I have changed the adaptation channel in the high beam mirror to left hand driv/e-ing. digital instrument cluster in pq25+++ ?